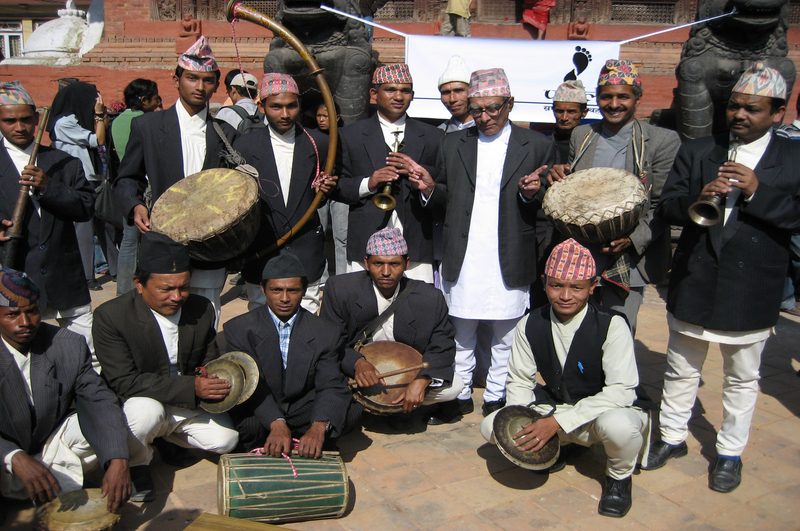 National Poet Madhav Prasad Ghimire with musicians. Musicians Playing Panchai Baja at the museum. 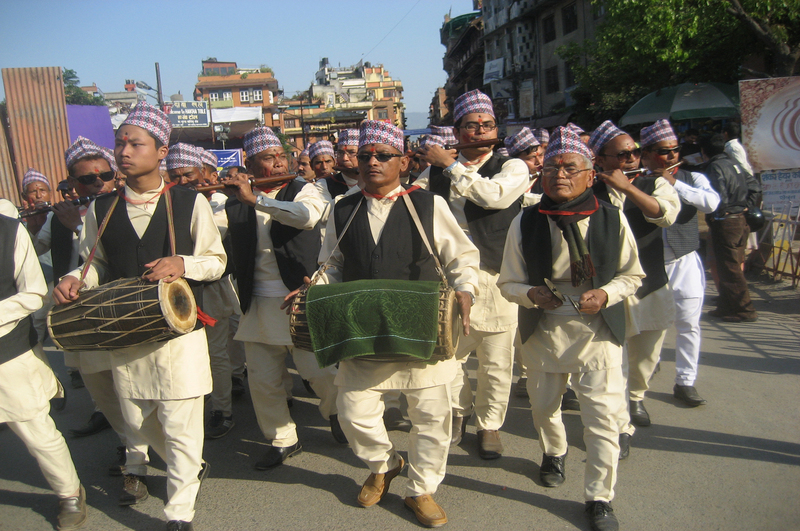 Musicians from the Newar Community. 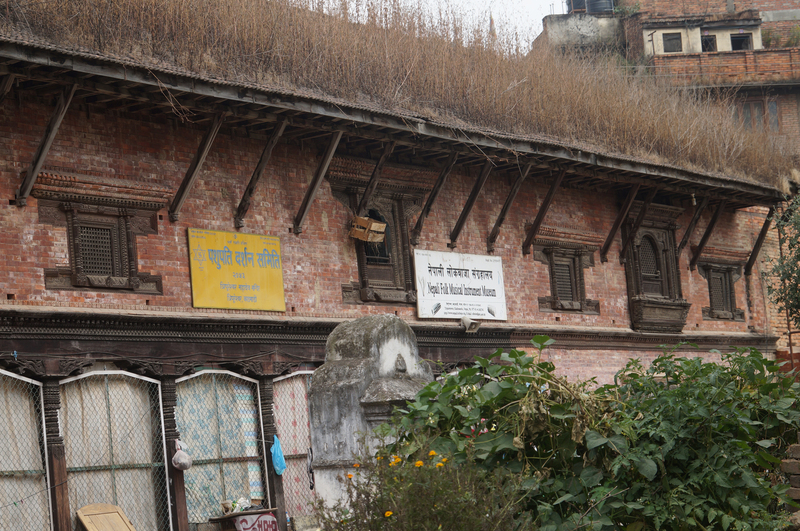 The Music Museum of Nepal was founded in the year 1995 with a view of collecting, preserving and glorifying Nepali folk musical instruments. 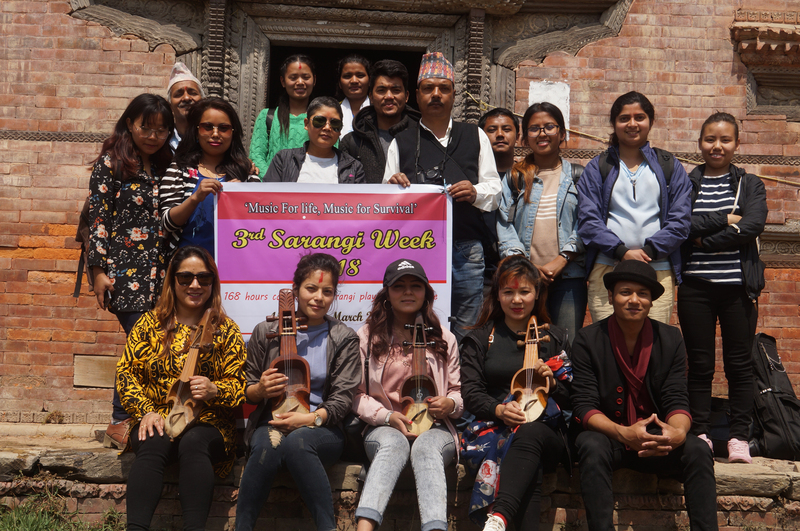 There are more than 100 ethnic groups in Nepal, each with their own culture and traditions to mark every occasion from birth to death with music. Each group organizes various musical ceremonies and plays their own musical instruments in accordance with traditions and rituals. Many groups such as Gaine, Damai, Badi have adopted folk music as their way of life and play folk musical instruments professionally. 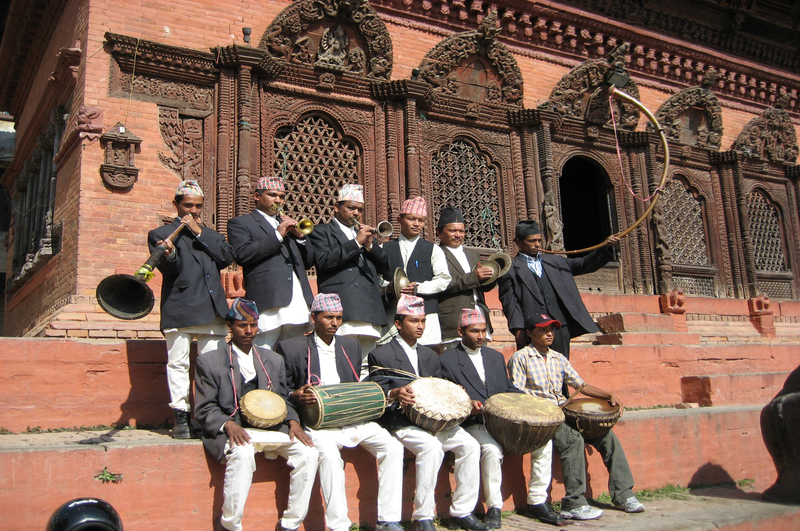 Our study has found more than 1350 kinds of musical instruments in Nepal.